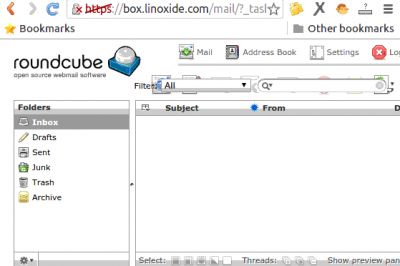 On Linux systems, packages to install are normally available via the sources.list file. But you can find some packages which are not maintained by the team of your official Linux system. This article will show you how to remove and add PPA on Ubuntu 18.04 systems. There are some teams around the world who develop applications they make available to users through their personal repositories called personal packages archives (PPA). You have to follow a specific procedure to add them to your system. PPA are unofficial repositories of software packages made available to all through the LaunchPad platform developed and maintained by Canonical. 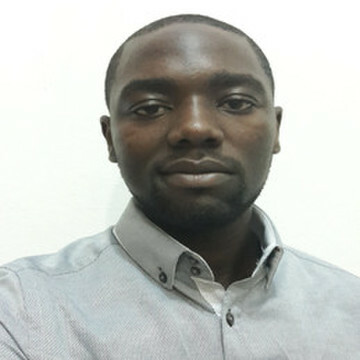 Developers who want to make their work available to Ubuntu users deposit their source code on this site. Launchpad then builds .deb packages for the different versions of Ubuntu that users can then install through their software package manager. 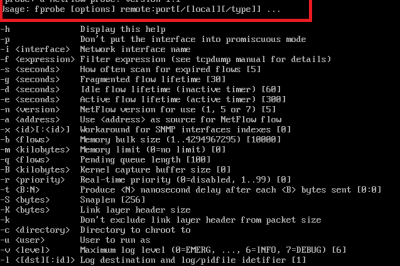 It exists some methods to install or remove PPA on Ubuntu systems. To add the PPA through the terminal, we use the add-apt-repository command which adds a PPA repository to your package manager's configuration. Note: You should notice that when you add a repository, the apt update command can take longer and longer time as if like non-Ubuntu repositories are not as fast or don't have as much band. ppa-purge command: purge all traces of the use of a PPA repository. 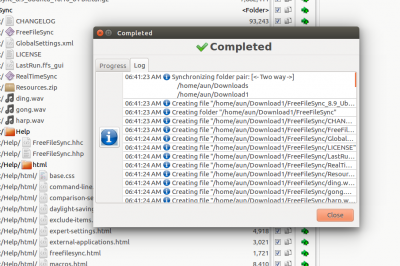 The command also tries to replace the installed packages with the version of the Officially Ubuntu Repositories. It is not present by default so you need to install it. 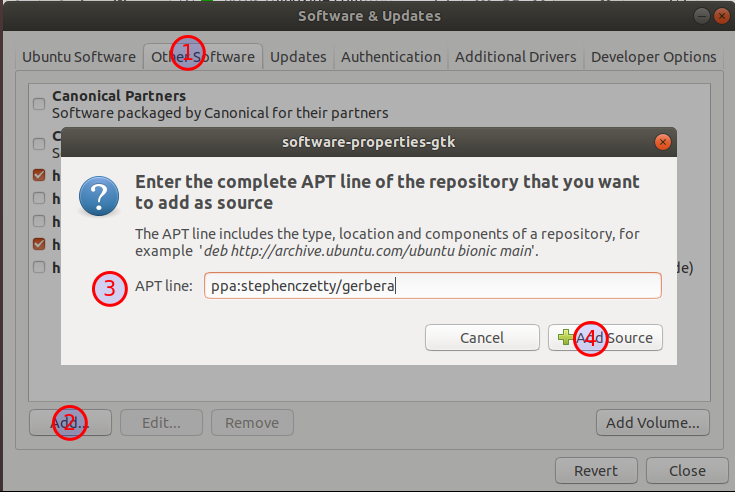 You can use the graphical method to add and remove PPA on Ubuntu systems. You just have to search for Software & Updates, go to Other Software tab and click on Add button to add a new PPA. echo -e "** $X **\n"
Now you exactly know the different ways to add and remove PPA on your Ubuntu systems. By activating these PPA filings, you acknowledge trusting their authors. The PPA repositories may contain multiple software that may depend on several updated libraries. 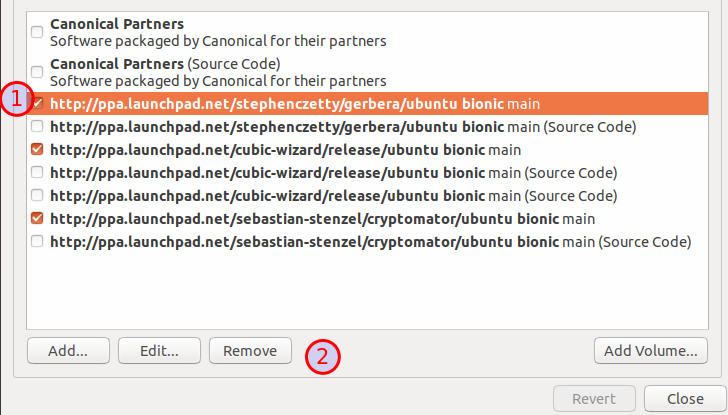 So, it is possible that the installation of these updates may have an impact on the stability of your Ubuntu system.